Looking for a perfect anniversary gift for your husband or wife, or a one-of-a-kind wedding gift? 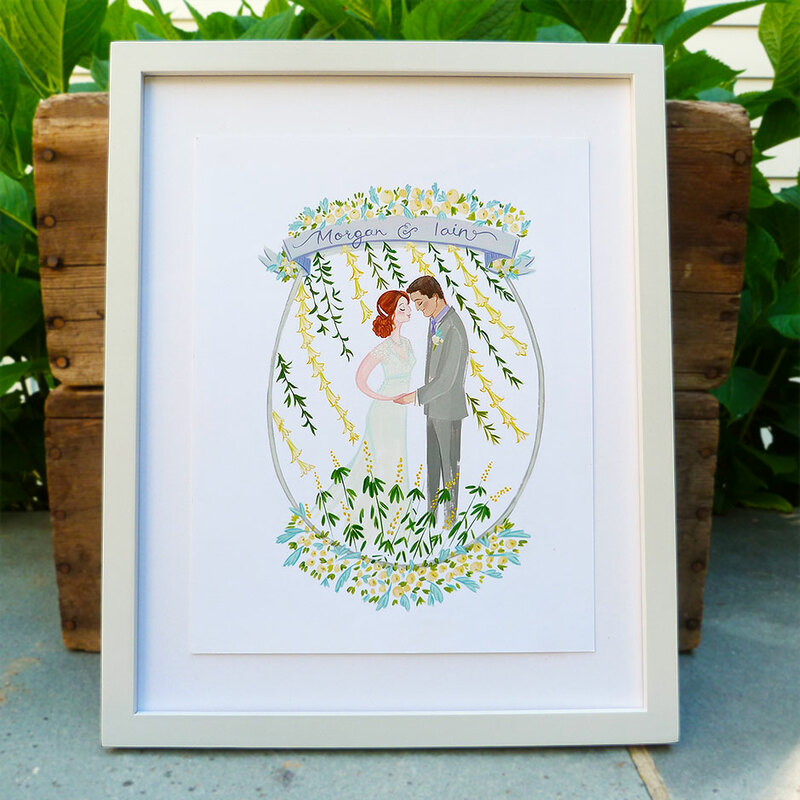 These custom prints by Jolly Edition are unique and carefully crafted to mirror the couple’s personality and wedding style. 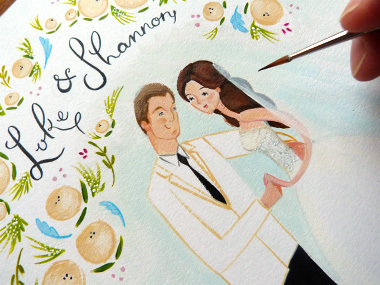 Each artwork is illustrated by hand and captures the wedding aesthetic in a lovely, timeless portrait. 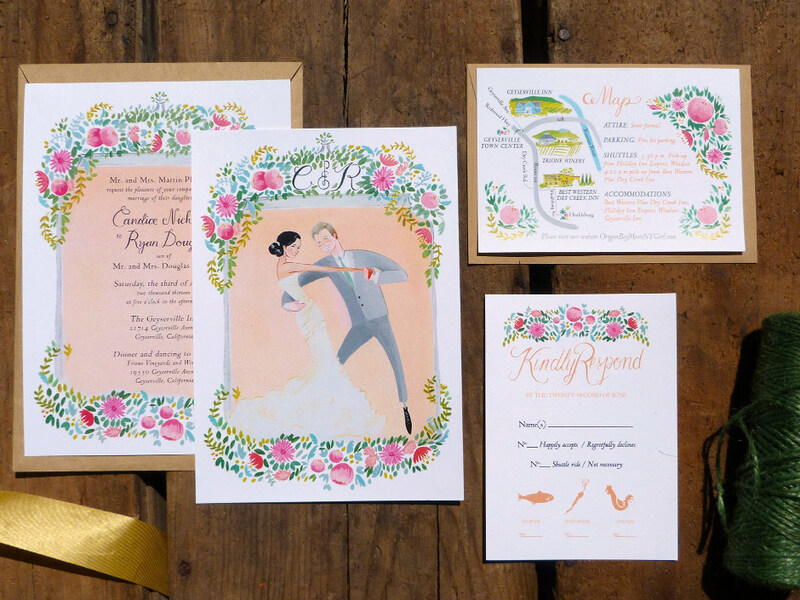 The company also creates custom wedding stationery for couples looking for a vintage, personalized feel to their invitation suite. No airbrushing needed!